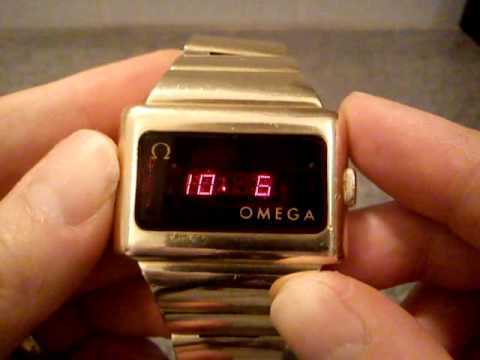 Loved those LED watches, but man, did they eat batteries!?!?! Went through a few metal-cased calculator watches too, before settling on the plastic, fantastic Casio CA53W-1. I'm tough on watches and this poor little 'nerd watch' needs protection, so I complete the look with a paramilitary watch band. I'll go through 5-10 of these watch bands, before the Casio LCD display dies. The Velcro will die long before the organic display. I remember that style and I thought they really cool too. 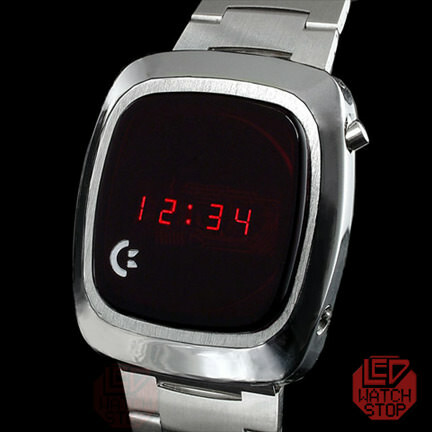 I still like the simplicity of them, and that was the last style of watch I ever wore regularly -- a cheaper plastic version of it, that is. Nowadays I just use my mobile phone as my watch. Every now and then I do try to wear a watch, but I notice that wearing a watch feels uncomfortable to me now. Just watched your video. That's the width watchband I used to wear, and, yeah, I used to bang up my watches a lot too. That protective watchband is excellent idea -- especially if you're doing manual labor. Well DRM is what it is. I don't like it either, but currently if you want Netflix you have to accept that. Well, you have to expect a company like Netflix, which doesn't have content for free, to use DRM. It's only common sense, as they have to protect what they've paid good money to allow people to stream. Hulu requires DRM enabled too, so does Amazon. Dang, that was fast - Redstone 6 19H1 (meaning '1st half of 2019') just rolled in. Thx, perk. Another reason you should switch from winders to Linux. But, you do realize that it's support on Linux is simply a side-effect of Chrome OS being based on Linux?! Microsoft has it's own PlayReady, Apple has FairPlay and Linux "got lucky" this time around and can use Google Widevine. Well, not everyone "got lucky"! Why should someone running another OS or, actually just a different C-library be automatically locked-out? How difficult would it be for Google to compile it's code against a few more C-libraries, so others can use it? Please note, I'm not against what you wrote, but if you are paying for it, you should be able to watch it on whatever device you want. Or, at the very least, before you pay get a warning like "you seem to be using an unsupported operating system..."
...but please, let's not restrict freedom of choice! Yep, knew that all along. After all, you can't keep the cheapo Google netbook crowd twisting in the wind, just us normal folks with grown up computers running real Linux. if you can not afford new hardware and with every major update of win10 there are problems than their is no fun anymore working with computers. the time that it is consuming is enormous if you have multiple devices. now with Peppermint, i enjoy being online again and can use my time with my hobby's and not fixing windows. i know, there are some minor problems. 2 i wanted to copy some files to a sd card to open it later in windows to fix a smartphone, and i can't use them in windows. but still the fun is much greater than working with win10. You're probably using the wrong file system on your SD card .. make sure you format it as FAT32 or NTFS and both Linux and Windows should be able to read/write it. I worked on 3 laptops yesterday trying to update to windows 10 1809. Not one was successful and one of them got borked when the laptop shut down. I was so mad that I had to go hug my peppermint desktop for comfort. And they say Linux is harder right!! !